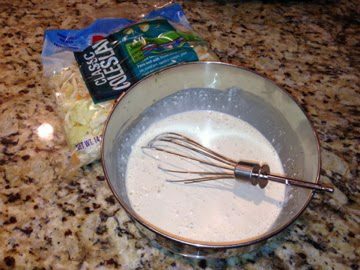 In a small mixing bowl, whisk all of the dressing ingredients until well blended. 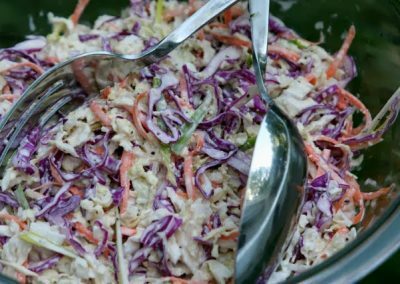 In a large bowl, toss together both cabbages, jicama, carrots, and scallions. Add enough dressing to coat well. Add the Parmesan and toss again. Serves 6-8. 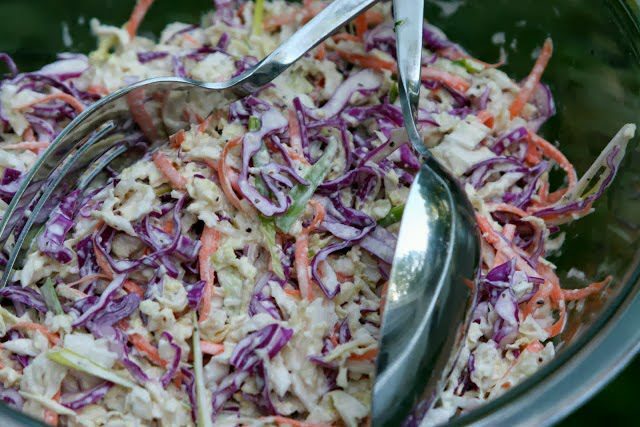 And you can always use store bought pre-made cole slaw mix if pressed for time. 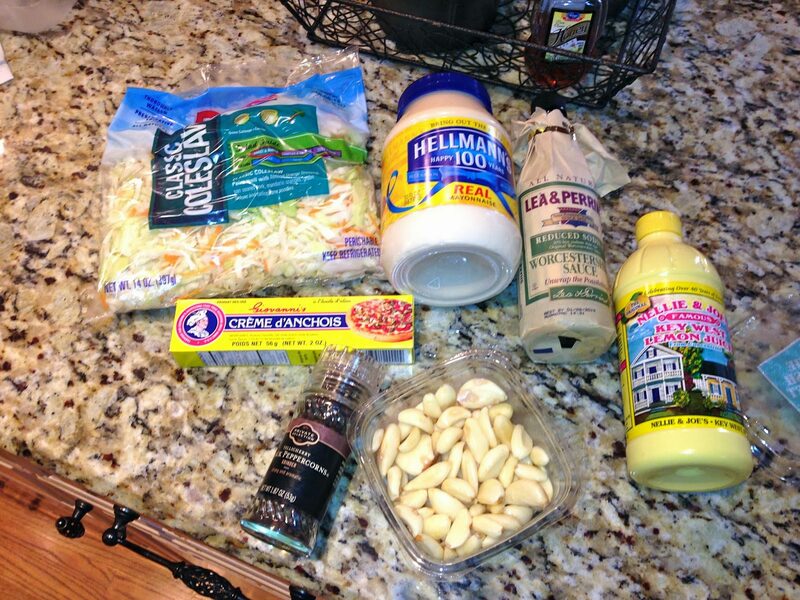 ***Because there is mayo in this coleslaw make sure to keep it very cold. 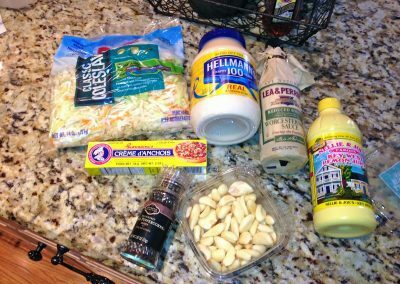 I’m keeping the dressing in a cooler and then tossing right before we eat. It’ll be fine after that, as it’s supposed to be a cool evening temperature wise.